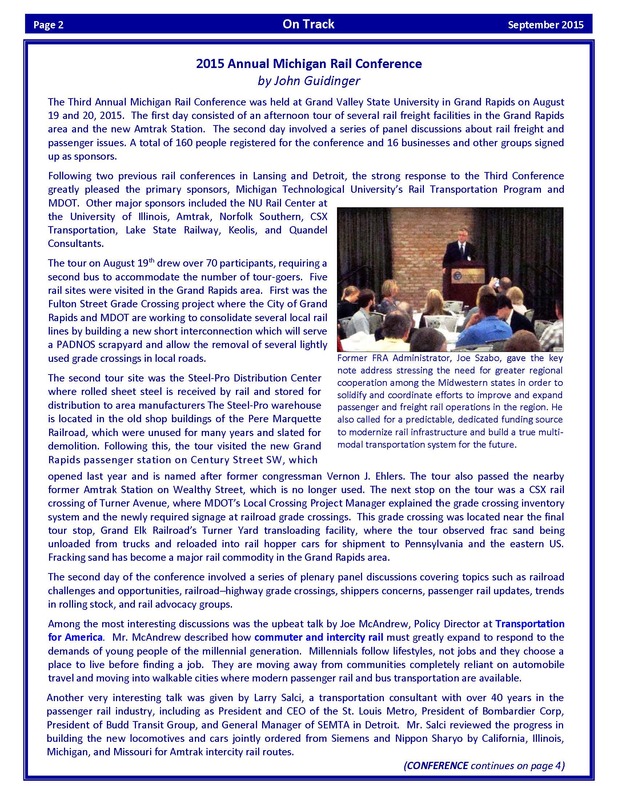 We hope you will enjoy the reports on the recent Michigan Rail Conference held at Grand Valley State University. You will also learn about the next round of public meetings for the Coast-to-Coast rail project. These will engage students at five campuses beginning at GVSU on September 30. 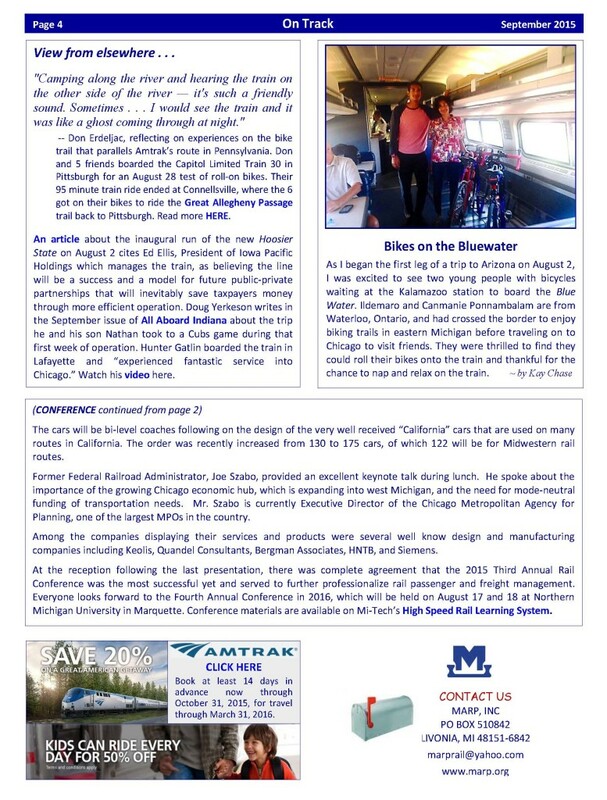 And be sure to follow the links to stories about the inaugural run of the new Hoosier State train which features dining in a full length dome car and other amenities. 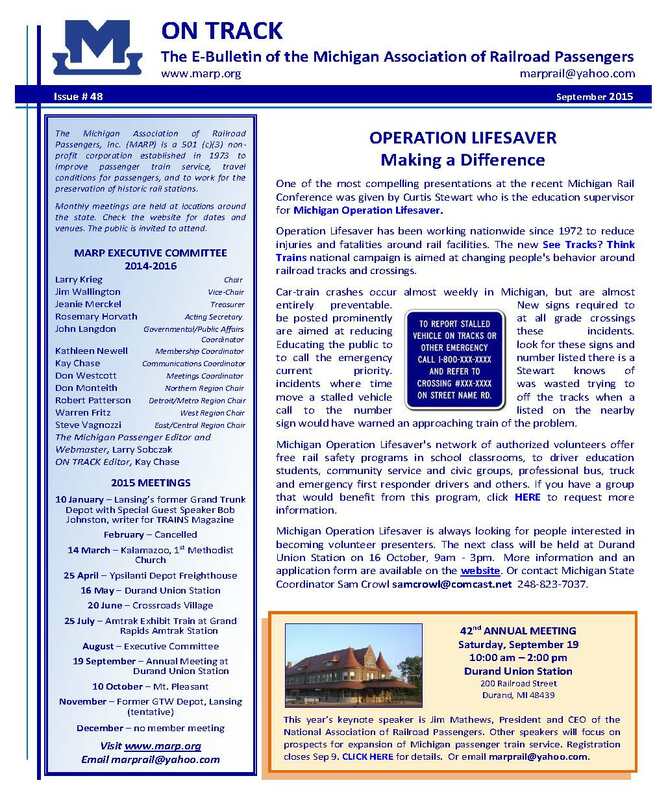 The Michigan Statewide Transit Study, funded through a Veterans Transit Community Living Initiative (VTCLI) grant, is looking at regional gaps in mobility, particularly for special-needs populations; barriers and opportunities to meeting these needs; and identifying actions that can be taken by local transportation providers and Michigan 2-1-1 to increase mobility. Visit the website register for the workshop being held in your area.